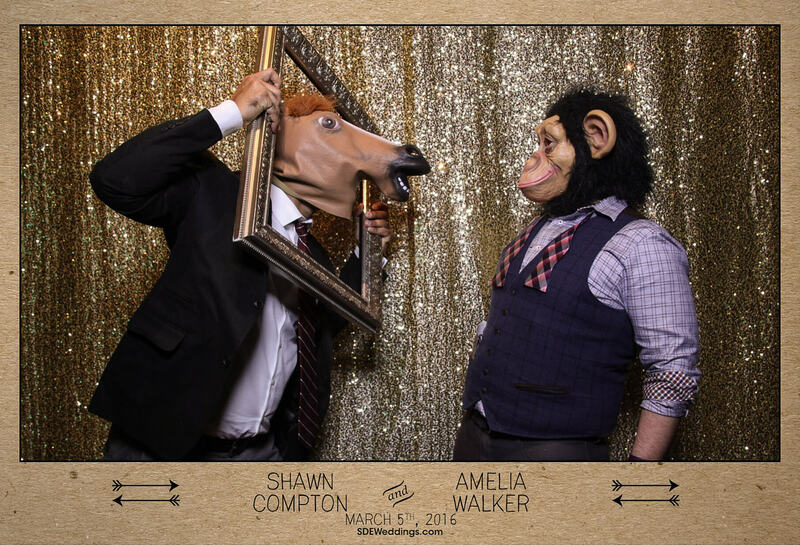 For us here at SDE Weddings, Toronto’s premier wedding videography, cinematography and photobooth group, being based in Toronto – one of the most multicultural cities in the world – has opened our lenses to a cornucopia of cultural experiences beyond all boundaries and borders. The one universal which ties it all together however is the unassailable power of love to bring people of all backgrounds and walks of life together to celebrate life to the fullest. That’s why our work with Naveena & Shahed on their unparalleled multicultural, multinational and multi-religious multi-day wedding ceremony and celebration just this past March 9th, 10th and 11th, 2017 in a breathtaking wedding destination at the Azul Sensatori Mexico Resort in Cancun, Mexico. One of our most special wedding works for our videographers and cinematographers, who had been flown in from Toronto to Cancun and assigned the tremendous task of documenting Naveena & Shahed’s unbelievably grand and gorgeous wedding weekend event; this was also one among the rare events we’ve filmed for non-Canadian couples. Naveena & Shahed, who hail from America, had their family in Toronto handle the arrangements for their truly delectable three-day tropical wedding celebration; and what a delight it was for our videographers and cinematographers to experience such a novel set of circumstances that aligned serendipitously to create something spectacularly magical. 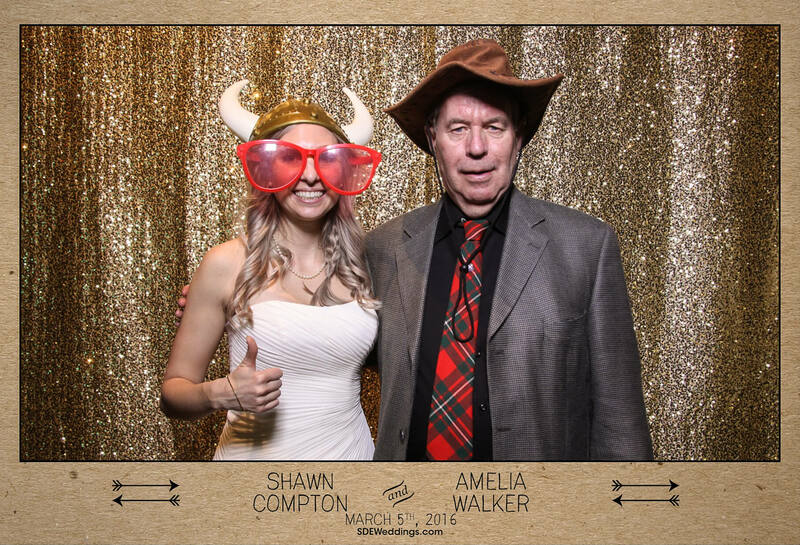 This wedding was also special in that it was another chance for us to work with photographer Tamara Lockwood, a brilliant photographer whom we highly recommend, who also flew out for the event, and generously provided the accompanying snapshots of the wedding festivities. 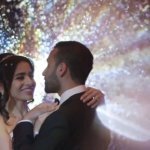 So join us as we recall one of our most truly exhilarating and surprising wedding events our videographers and cinematographers have ever filmed and fashioned, and have a special preview of Naveena & Shahed’s once-in-a-lifetime three-day tropical destination wedding ceremony and celebration. 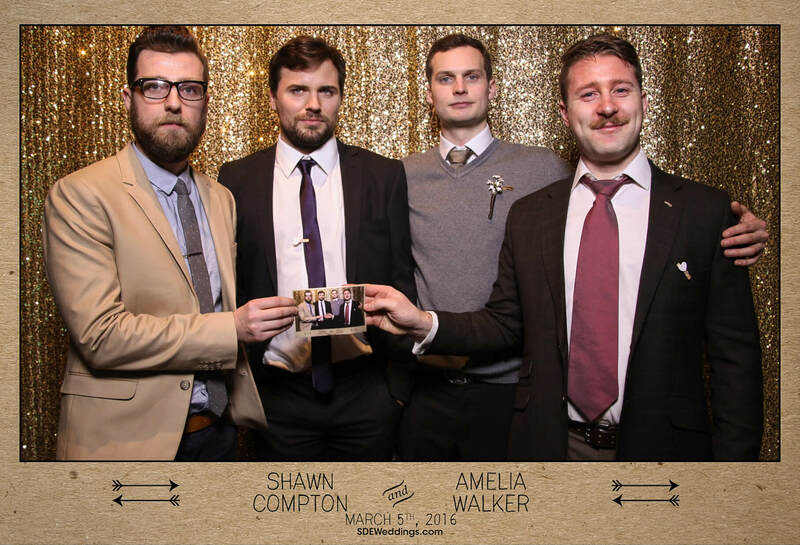 Enveloped in the urban atmosphere of Propeller Coffee Co. on Saturday, March 5th, 2016, we here at SDEWeddings, Toronto’s premier wedding videography, cinematography and photo booth company were delighted to be part of Shawn and Amelia’s unique wedding day celebration. 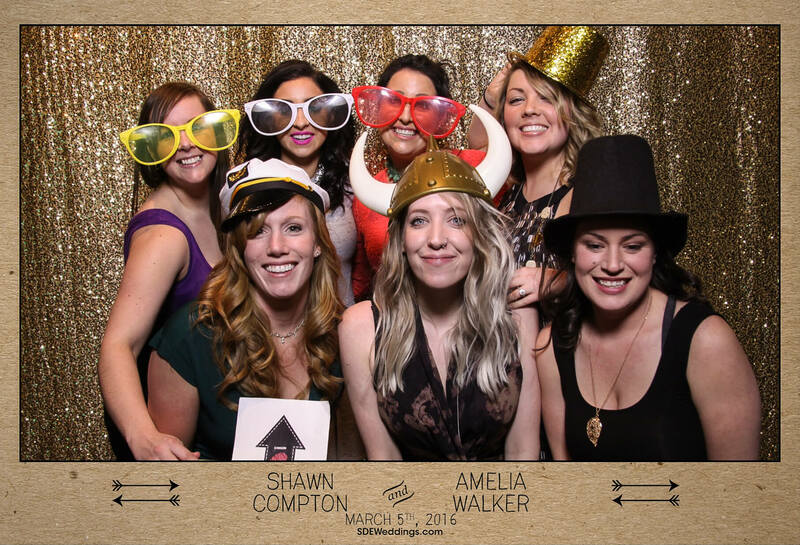 The crowd was highly affable and energetic, making our photo booth service a fantastic addition to entertainment. 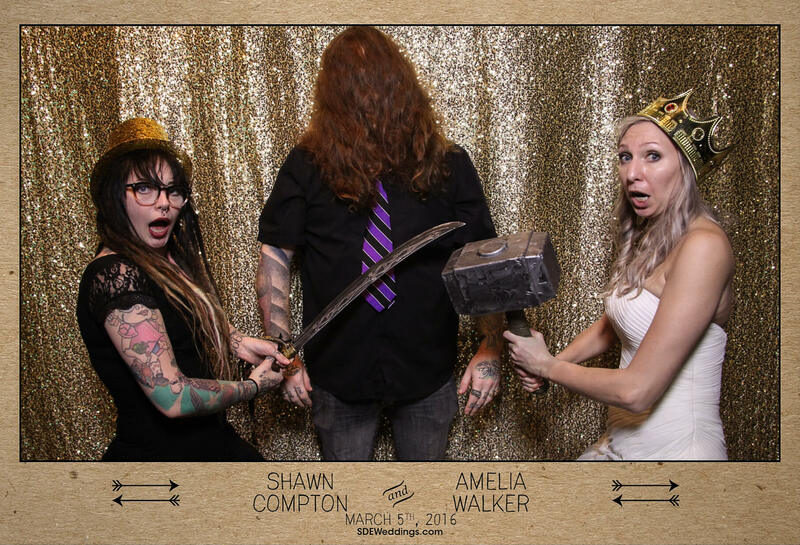 Featuring a shimmering gold sequin backdrop, customized composite, and large abundance of props to choose from, Shawn and Amelia’s wedding was definitely one to remember. 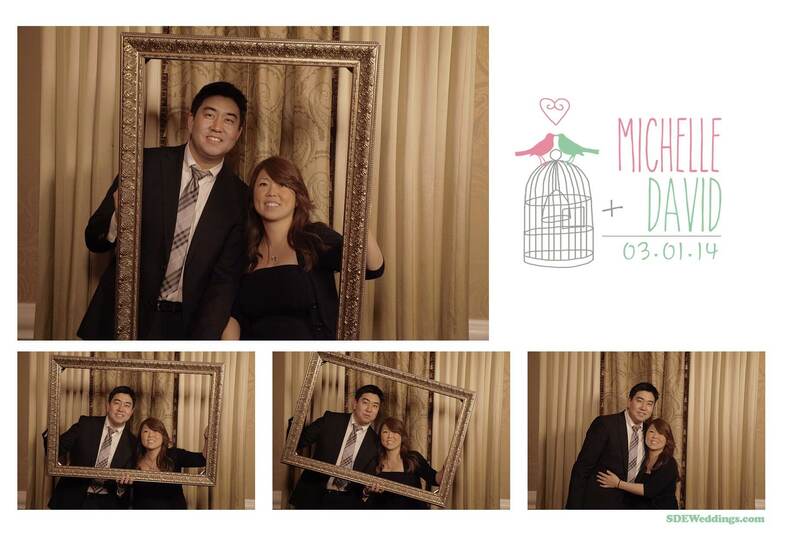 Feel free to view some of our favourite snapshots of the wedding day celebration day down below. The ‘gift of giving’, as some would say, is the greatest gift of all. The act of love, of being in love, of loving one another, for one, fits this paradigm perfectly. And to have such a treasured gift be given to you in return is one of the most fulfilling experiences one can have. 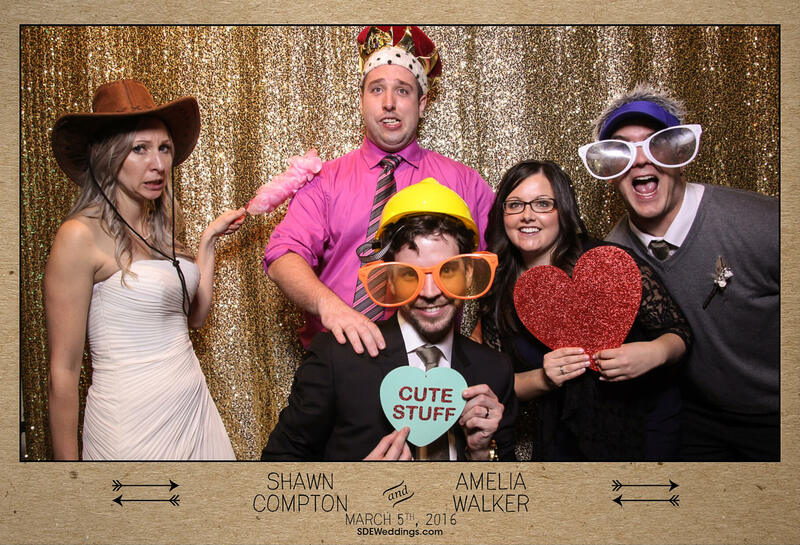 Such is exactly how we felt here at SDE Weddings, Toronto’s premier wedding videography, cinematography and photobooth group, about our work with Jonathan & Katrina, who held their wedding earlier this year on March 14th 2015 in a beautiful ceremony at Mississauga’s Merciful Redeemer Parish and an unforgettable reception at Toronto’s ever gorgeous Claireport Place Banquet & Convention Centre. Indeed, with a gift to the couple of our tried-and-true ‘Same-Day-Edit‘ and highlight reel specially prepared by our videographers and cinematographers for their special day, the elated newlyweds Jonathan & Katrina couldn’t help but share several kind words about our namesake service below! Scroll further to learn more about Jonathan & Katrina, their wonderful once-in-a-lifetime wedding day, and a sneak-peek at what such a red-letter day entailed in our videographers and cinematographers’ acclaimed ‘Same-Day-Edit’ highlight reel below. 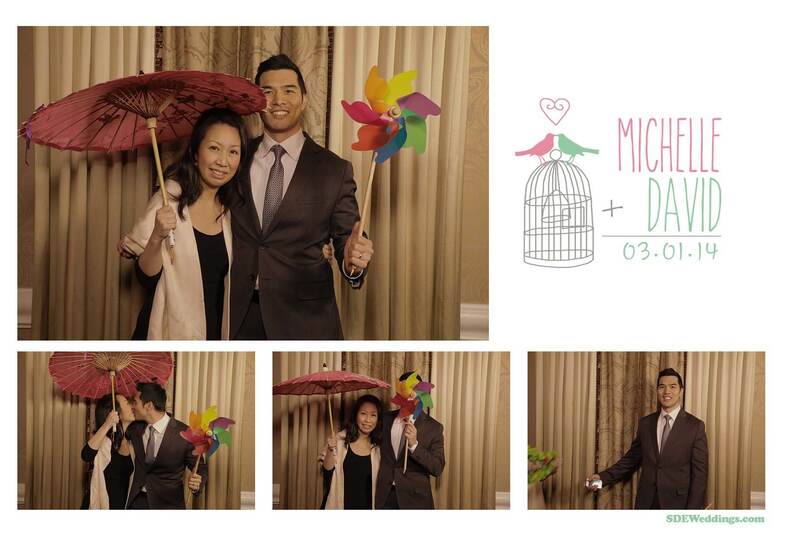 Here is the wedding proposal video that we produced for Bryan and Janet. “All that glitters is not gold” is what the old proverb says. Indeed, the love of your family and friends is brighter than any treasure life can give, and the shimmer of gold must be symbolic of such a treasured bond. 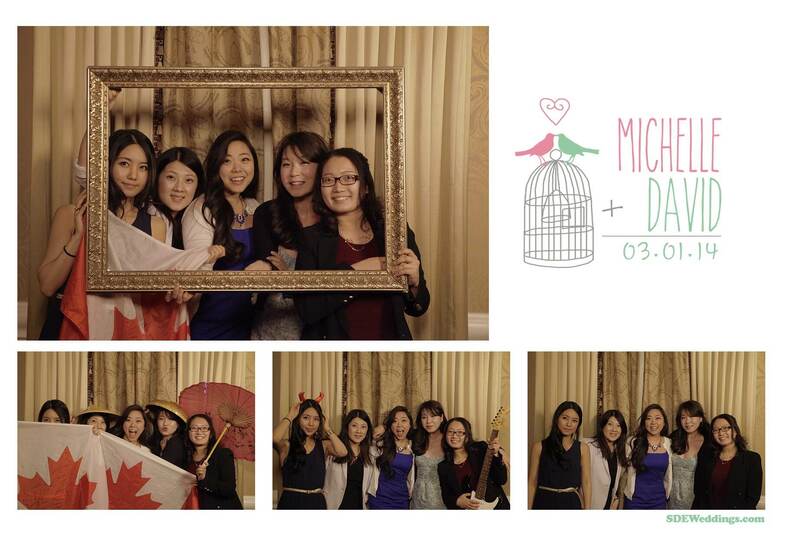 That’s why it was very special for us here at SDE Weddings, Toronto’s premier wedding videography, cinematography and photobooth group, to be a part of Sang & Min’s wedding celebration just this past March 13, 2015 at the beautiful Paradise Banquet Hall in Vaughan. 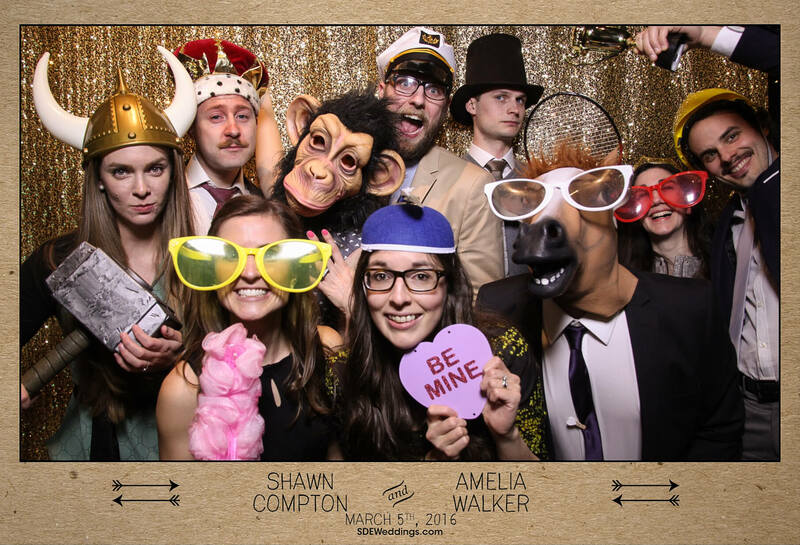 From what we had gathered, our work ultimately shined through in providing our trademark photobooth service to the couples’ friends and family. 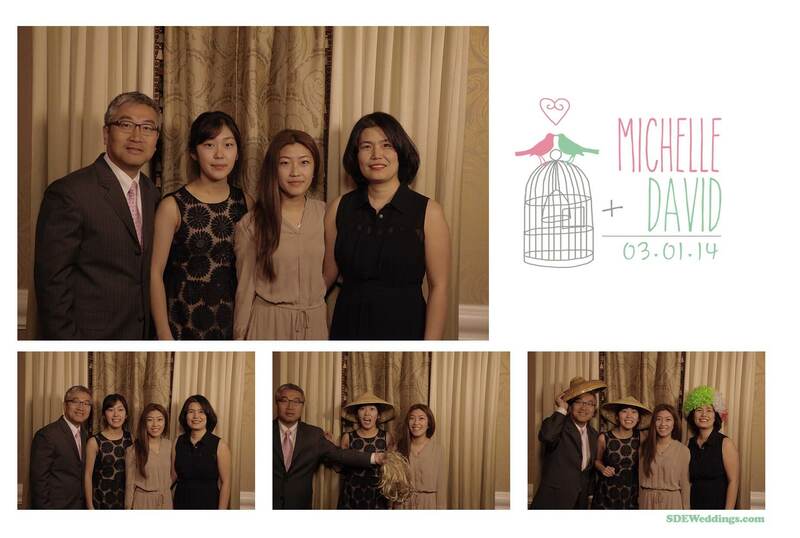 Staying true to our word, and slightly to be fashionable, our photobooth staff had supplied a specially ordered golden sequin backdrop as per request of Sang & Min. 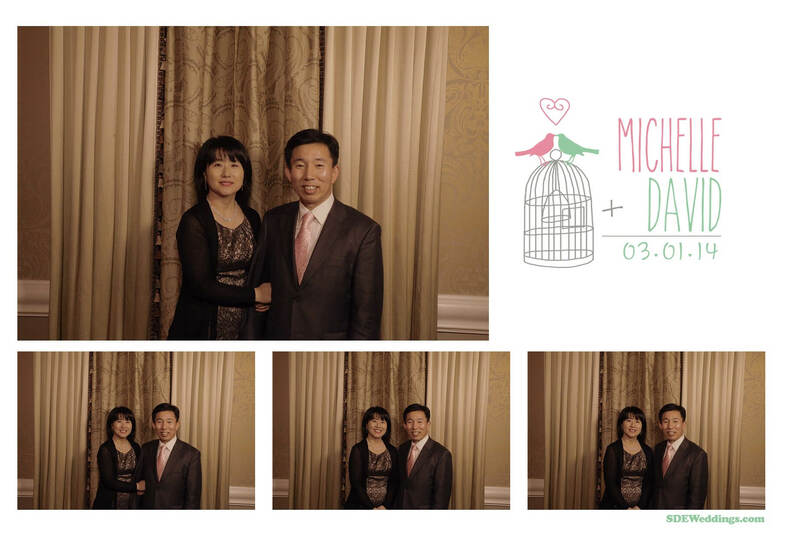 The result, as you can preview below, was something to be truly treasured, if not for the beautiful custom layout and backgrounds, but in the unforgettable smiles and happiest memories shared between loved ones on the most special of special days for Sang & Min. You can peruse our specially chosen snapshots in the gallery below. Siyamin and Pritesh’s wedding celebration at the famous Ontario Place’s Atlantis Pavilion sincerely seemed like the start of a fairytale journey for the young couple. As fate would have it happen, the two would go through the motions far beyond dance floor moves on the day they’d met, and would soon find themselves entrenched in the same all-embracing rhythm of song and dance which would pervade the energetic atmosphere of the night of their wedding day. We at SDE Weddings, Toronto’s premier wedding videography and cinematography group, are left nothing short of beguiled in midst of love stories such as Pritesh and Siyamin’s, and are always grateful that we can play a part, however small, as stagehands to their fairytale performance. One of the greatest transitions in life is the passing from adolescence to adulthood, and at the young age of twenty-five, Sarah and Ellis chose to make the jump from simply being young professionals at the budding stage of their working lives onto a fulfilling life of love in marriage. Ellis, a bookworm in his own right, with a masters in management and accounting, met the love of his life, Sarah, once a subject to his tutelage while TA’ing for one of Sarah’s senior-year accounting classes. 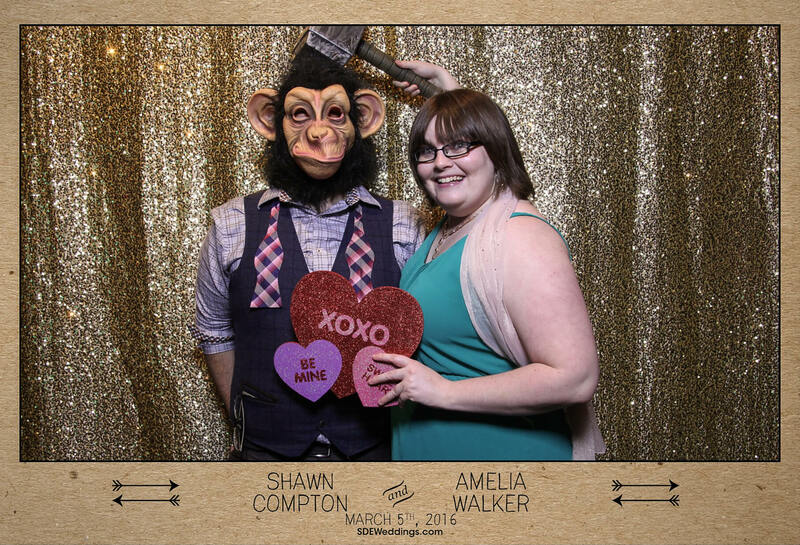 Only a year apart in schooling at University of Toronto’s Mississauga campus, Sarah was poised to complete her undergraduate studies whilst Ellis only begun his masters program. It is through this tumultuous transitional sea of sacrifice and schoolwork that the two would form a lasting bond that would buoy them to the shining shores of a marriage made complete. We at SDE Weddings, Toronto’s top wedding videographer and cinematography company, were immediately drawn to the youthful enthusiasm shared by the two, especially throughout the wedding celebrations, and were well honored to handle all the media work for such a special day in their lives. 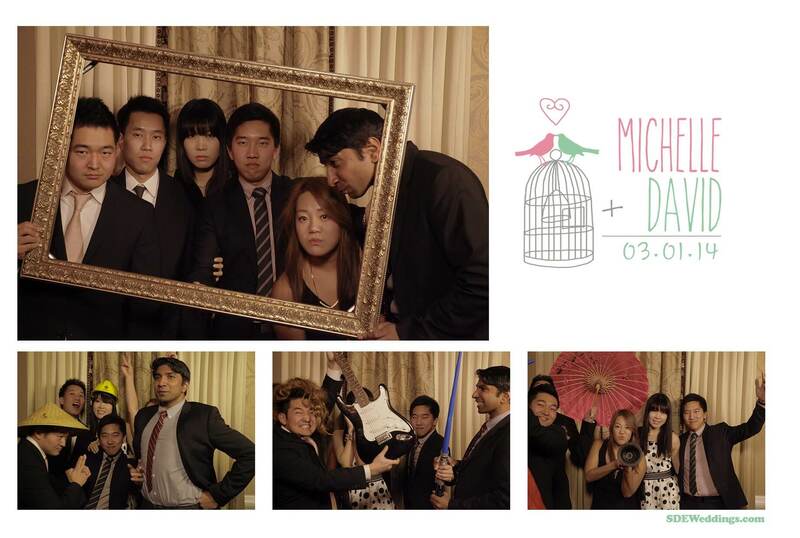 SDE Weddings’ videographers and cinematographers took a much needed break from doing video work this March 1st 2014, and instead were focused on a rather unique task, setting up and running a photobooth for a wedding day celebration. 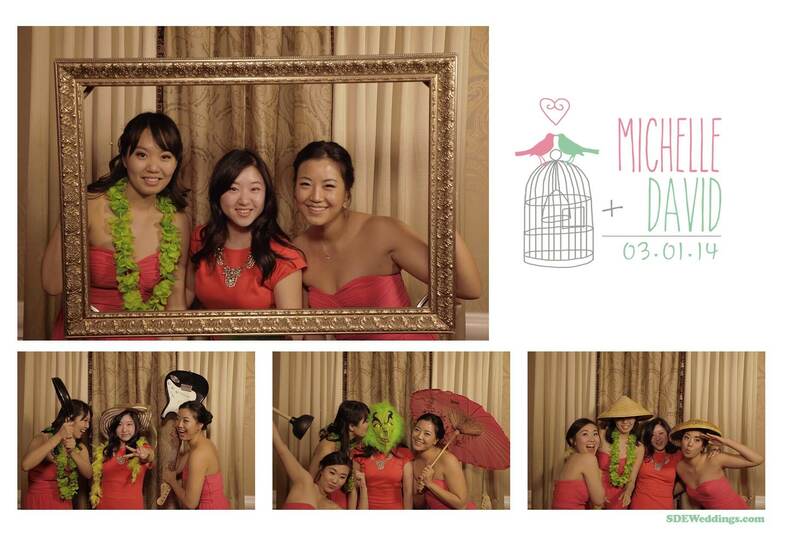 Michelle and David, a Korean couple from Toronto, requested us for our photobooth services for their wedding day reception, and with our extensive experience with handling wedding day events, coupled with dozens of completed photobooths for various companies and events, a gig like this was right up our alley. 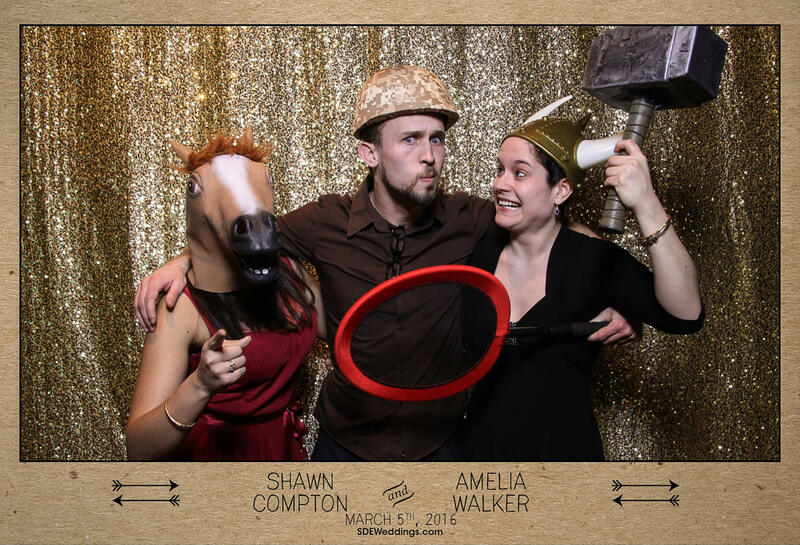 With an already exquisite reception setup at The Royalton hotel in Woodbridge, our photobooth was simple icing on the cake for the wedding guests to enjoy. 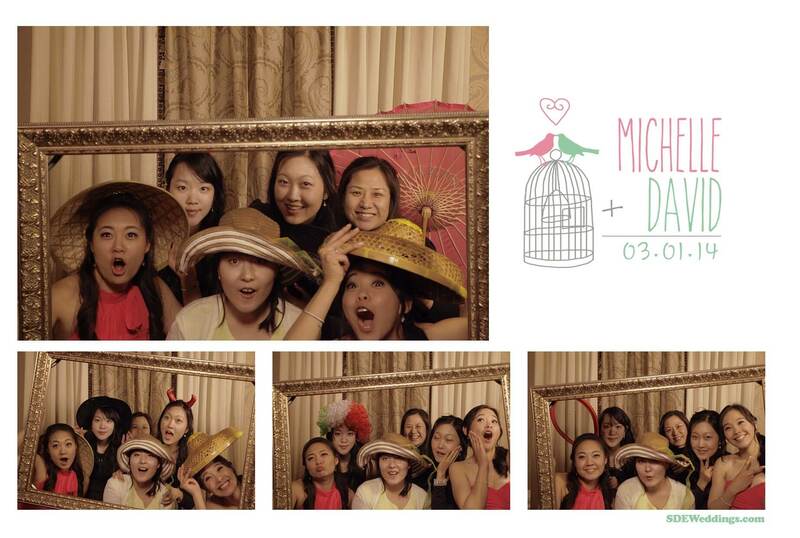 Our dedicated photobooth staff were available for all the memorable snapshots throughout the evening, and given the plentiful smiles in the following sample photographs, there is no doubt that our presence at Michelle and David’s wedding celebration made the celebrants all the more happier in commemorating such an unforgettable evening. 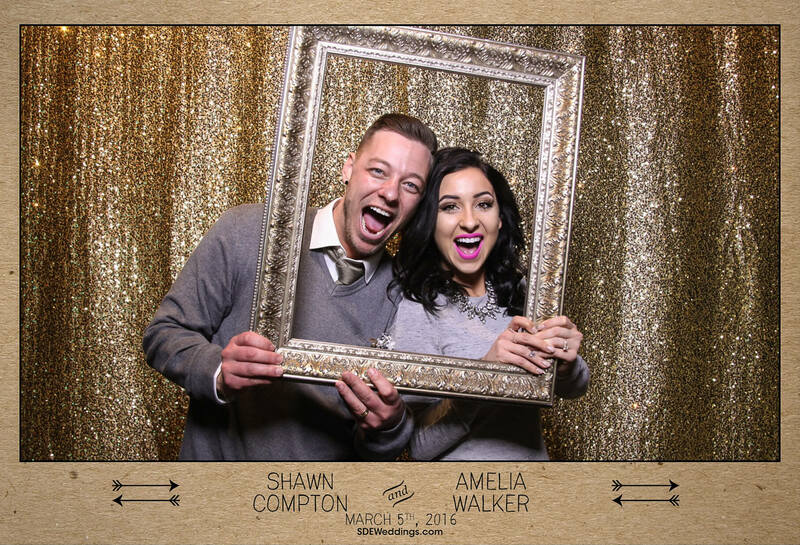 Share in all the wedding day cheer with a few of our choice snapshots below.